With the Hawke Optics 6x25 Pro 900 Laser Rangefinder, you get more than just range — you learn the angle to your target, its height, and even its height compared to another object. 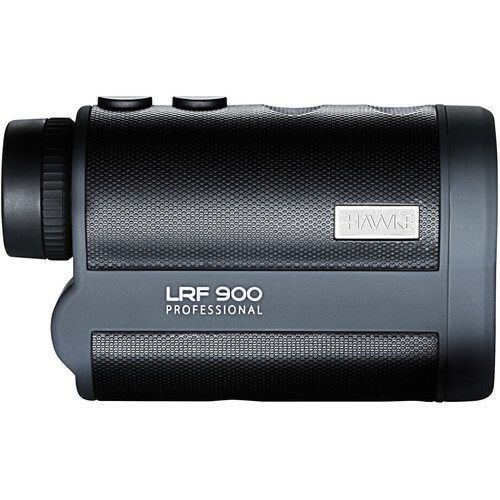 This rangefinder is a 6x25 monocular with a wide field of view that brings distant details close for accurate target acquisition and tracking, and is equipped with a Class 1 eye-safe IR laser that can range from 7-984 yards (6.5-900 meters) with one-yard accuracy. Beyond showing horizontal distance, the rangefinder can tell you how tall a target is, show the vertical distance between two points, and indicate the angle from your position to the target. Hunters in particular will appreciate knowing the angle, since shooting uphill or downhill can have a significant impact on a bullet's trajectory. Compensating for angle helps determine the correct holdover for the shot. Optical features include fully multi-coated lenses and BK7 prisms for optimal light transmission and a bright, sharp image. The twist-up eyecup makes for comfortable use when wearing glasses, and there's an adjustable diopter to fine-tune the focus. The Pro is powered by a single, included CR2 battery and comes with a wrist strap and carrying case. Box Dimensions (LxWxH) 6.6 x 5.2 x 3.2"